Our Library provides an environment to meet and interact with others in our community, address the needs of people, and participate in public discourse about community issues. Our Library provides materials in a wide variety of formats that help to fulfill community residents’ appetite for information about popular cultural and social trends. 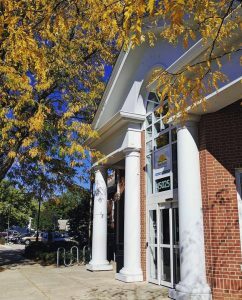 Our Library offers general information on a broad array of topics related to work, school, and personal life, to help meet our community’s need for information and answers to questions. Our Library provides opportunities for lifelong learning, self-directed personal growth, and development. Our Library refers residents to other community agencies and organizations to help connect people to resources. Our Library is a resource to the community. The Plainfield Public Library District serves a population of 75,337 in the Village of Plainfield, unincorporated Plainfield Township, and portions of unincorporated Wheatland Township, the Village of Bolingbrook in Wheatland Township, and Village of Romeoville in Plainfield Township. To learn more about the Library’s plans for the years to come, please visit our Library’s Future page.